Just contemplating the above for a guest room. 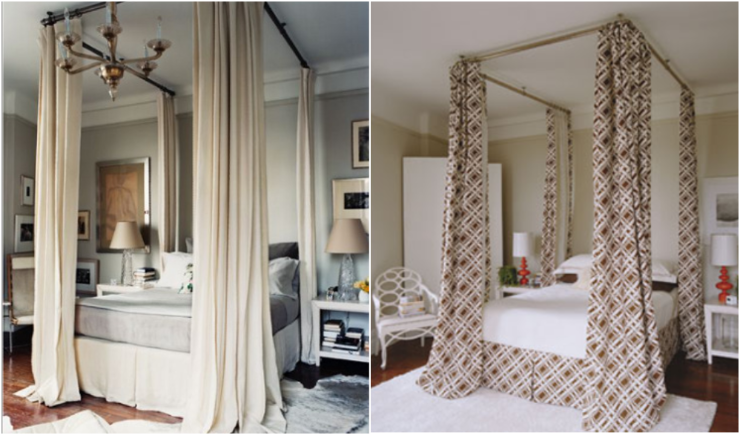 You can find some ceiling mount hardware right here to create the lovely faux canopy bed look. Do you like? This is brilliant!!! Love it! This was so much cheaper than I thought it would be. I've been trying to think how I could do this with curtain with an IKEA track, but I like this idea much better. it's a grand gesture. l love it.